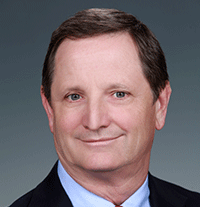 The editors of Smart Grid Today selected PNNL's Carl Imhoff as one of 50 Smart Grid Pioneers. Imhoff was selected as a winner from exclusive interviews over the last 16 months about modernizing the electric grid around the world. Smart Grid Today describes these Pioneers as "the best and brightest smart grid industry stakeholders succeeding at tackling many of the complexities in digitizing the power distribution world, some of which could barely be imagined just a decade ago." Imhoff joined PNNL in 1980 and currently manages the Electricity Infrastructure research area within the Energy and Environment Directorate. During his 30-plus year career, he has been highly involved in a broad range of energy research. This market sector conducts advanced electric infrastructure research and product development with the U.S. Department of Energy, state governments, vendors, and commercial energy firms. In his role, Imhoff is responsible for research and development programs on innovations in advanced power transmission reliability concepts, demand response, development of improved integration concepts for renewable energy generation technologies, policy and strategy for smart grid concepts, and cross-cutting grid analytic tools in visualization and high-performance computing.